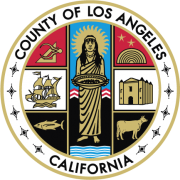 Appointees to this position shall be compensated at the rates established in the Los Angeles County Code Personnel, Salaries & Salary Schedule, Chapter 6.08.415B New Physician Plan D Schedule. Provides professional medical services in clinics or homes; provides general medical-administrative assistance or consultative services. Examines, diagnoses and treats patients in admitting and treatment rooms, clinics, wards and in homes. Performs medical duties in diagnostic and special services. Performs minor surgery and/or surgical procedures in routine and emergency situations. Confers with attending and staff physicians regarding care and treatment of patients, and assists them in examining and treating patients. Assists in epidemiological work and the enforcement of rules relating to communicable disease control. Provides general medical consultation services; secures cooperation and/or permission for treatment from patients and relatives. Determines the necessity for laboratory tests; orders and interprets results. Prescribes needed therapy, reviews the progress of patients and adapts treatment as necessary. Conducts post-mortem examinations and assists in carrying out laboratory studies to discover the main and contributing causes of death. Certifies as to the cause of death. Testifies in court as an expert Medical witness when necessary. Confers with professional personnel in medical and related fields. Assists in the planning and direction of health programs. Conductsresearch, special studies, and surveys and provides technical supervision to a professional or non- professional staff involved in providing direct patient care. California State Physicians and Surgeons Certificate authorized by the Board of Medical Examiners of the State of California. California State Physicians and Surgeons Certificate* authorized by the Board of Medical Examiners of the State of California. A valid California Class C Driver License or the ability to utilize an alternative method of transportation when needed to carry out job-related essential function. Light:Light physical effort which may include occasional light lifting to a 10 pound limit, and some bending, stooping or squatting. Considerable walking may be involved. *Applicants MUSTinclude a legible photocopy of their California State Physician and Surgeon's Certificate to the application at the time of filing or fax it to (323) 869-0942 within 15 calendar days of filing online. The required license and/or certificate MUST be current and unrestricted; conditional, provisional, probationary or restricted license and/or certificate will NOT be accepted. This examination will consist of an evaluation of training and experience based upon application information weighted 100%. The names of candidates receiving a passing grade on the examination will be added to the Eligible Register and will appear in the order of their score group for a period of six (6) months following the date of eligibility. No person may compete in this examination more than once every six (6)months. APPLICATIONS MUST BE FILED ONLINE ONLY. APPLICATION SUBMITTED BY U.S. MAIL, FAX OR IN PERSON WILL NOT BE ACCEPTED. Apply online by clicking on the "Apply" tab for this posting. You can also track the status of your application using the website. Utilizing VERBIAGE from the Class Specification and Minimum Requirements serving as your description of duties WILL NOT be sufficient to demonstrate that you meet the requirements. Doing so may result in an INCOMPLETE APPLICATION and you may be DISQUALIFIED . ore-mail the documents to the exam analystwithin 15 calendar days of filing online. Please include the exam number and the exam title. All applications must enter a valid social security number at the time of filing. Entering anything other than a valid social security number (i.e. 000-00-0000, 111-11-1111. etc.) will result in an automatic rejection of your application.